The King's Gambit with 3.Nf3 g5 - Chess Gambits- Harking back to the 19th century! After the King's Knight Gambit, 1.e4 e5 2.f4 exf4 3.Nf3, Black's most theoretically critical response is to try to hold onto the extra pawn with 3...g5. Black also has some aggressive intentions, most notably playing ...g5-g4, preparing to deliver a disruptive queen check at h4 if White's f3-knight moves. The pawn on f4 also blocks the f-file, hindering White's plan of piling up against Black's weak point on f7. So how does White set about generating compensation for the sacrificed pawn? 4.Bc4 looks the most natural reply, pointing the bishop at Black's weak point at f7 and preparing kingside castling. It also prepares to offer a dangerous piece sacrifice if Black plays 4...g4 5.0-0!. However, after 4...Bg7 (or 4...Nc6, which usually transposes) followed by ...d6 and ...h6, Black gets a solid setup with pawns on f4, g5 and h6. If White tries to challenge the f4-pawn with g2-g3, this is often met effectively by ...Bc8-h3. White gets a strong centre as compensation and has some long-term attacking chances, so these lines are certainly playable at club level, but theoretically Black is doing well. 4.h4 attempts to undermine the defence of Black's f4-pawn by leaving Black with no good alternative to pushing with 4...g4, and then White's knight can move out of the way without allowing a queen check at h4. White's knight has a safe square at e5, but with 5.Ng5, White moves the knight to a square where it has no safe retreat options, and intends to sacrifice the knight at f7 and bring the black king out into the open. White certainly gets attacking chances, but falls short of full compensation after 5...h6 6.Nxf7 Kxf7, or 5...f3! ?, an interesting suggestion of "micawber" at the Chesspublishing.com forum. 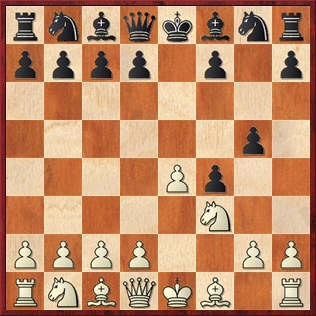 If White is attracted to this knight sacrifice idea but wants a sounder version then I recommend the Quaade Gambit (4.Nc3, below) with the idea of meeting 4...Nc6 with 5.h4 g4 6.Ng5, the Hamppe-Allgaier Gambit. With 5.Ne5 White avoids being committed to a piece sacrifice and play often tends to be more positional than in other 3...g5 variations of the King's Gambit. White often lets the e4-pawn drop but goes after Black's pawns on g4 and f4. That said, David Flude has found attractive attacking possibilities for White in the line 5...Nf6 6.Bc4 d5 7.exd5 Bd6, which are analysed extensively by John Shaw in his book on the King's Gambit. However, Black is not short of other good responses. 5...Nc6 is a good way to reach unbalanced and equal play. My biggest problem with the line is 5...Qe7, which usually leads to a quick queen exchange on the e-file and a rather drawish queenless middlegame, though you will probably not run into that response very often. At grandmaster level 5...d6 tends to be the main objection, which if played accurately can also lead to very level situations, but at club level both sides should be able to keep some winning chances in that variation. The bottom line is that 4.h4 g4 5.Ne5 is the most definitely sound way of meeting 3...g5, but the problem is that Black has plenty of scope to steer the game into relatively quiet channels that tend not to suit the typical King's Gambit aficionado. What's the point of this apparently quiet developing move? Well, White has ideas of bringing the c3-knight into d5, and of playing d2-d4 followed by Bc1xf4. But the most important idea behind the Quaade Gambit is to challenge the f4-pawn by playing g2-g3, and without allowing Black the response ...Bc8-h3. Black most often pushes the white knight on f3 out to h4 by playing ...g5-g4 and then establishes a strong passed pawn on f3, but White takes control of the centre and follows up with Be3, Qd2 and 0-0-0 and can attack Black's kingside pawns with a well-timed h2-h3. An important point behind 4.Nc3 is that if 4...g4 5.Ne5, the queen check at h4 is not deadly because White has the resource 6.g3 fxg3 7.Qxg4 and it turns out to be too dangerous for Black to grab the rook on h1. If 4...Nc6 then 5.g3 is the most consistent move with a Quaade Gambit repertoire. I have covered 5.g3 via game 4, Nepustil-Muri. White has the idea of the standard attacking plan with Be3, Qd2 and 0-0-0 and not worrying too much about letting Black establish a pawn on f3. For the more daring, it is possible to sacrifice a piece with the Pierce Gambit (5.d4 intending 5...g4 6.Bc4) or the Hamppe-Allgaier Gambit (5.h4 g4 6.Ng5) which, though theoretically dubious, offers White significantly better chances than the standard Allgaier Gambit, above. These lines are covered over at the Vienna Gambit lines page. John Shaw made this 4.Nc3 line his main recommendation for White in his King's Gambit book, and I am inclined to agree, although for beginners the 4.Bc4 lines are likely to be easier to understand. This is essentially a variation on the Quaade Gambit approach (4.Nc3) since in most cases White will follow up with Nb1-c3 and g2-g3, challenging the black f4-pawn, and if Black plays an early ...Nb8-c6 (which is usually critical against White's other lines) then d4-d5 follows. The main problem is what happens after Black goes for the obvious 4...g4. The traditional response has been the piece sacrifice 5.Bxf4 gxf3 6.Qxf3, which can lead to attractive attacking wins, but John Shaw in his King's Gambit book has identified significant problems with it following 6...Nc6, often involving a well-timed queen check at h4. 5.Ne5 Qh4+ 6.g3 fxg3 7.Qxg4 is sound, but probably less promising for White than the analogous line after 4.Nc3. However, 4.d4, though less reliable than 4.Nc3, remains playable.